27/04/15. Awbar Village, Darbandikhan area, Iraq. 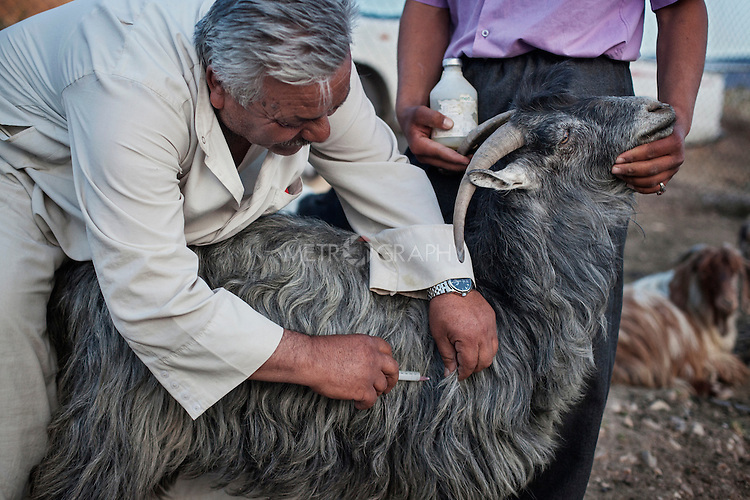 -- Najm, 54, practice an injection on a goat to vaccinate it. Copyright: © Aram Karim / Metrography all rights reserved.